"Where do I begin with Erin? Two words. HIRE HER! She photographed our elopement ceremony in New York City and when I say that my photos were beyond what I had hoped, I mean it. She has such an attention to detail and photographs every moment so perfectly. Erin has this way of capturing every intimate, sweet moment of your day without being intrusive or invading. She does is softly and out of the way which was so amazing to me because I was just soaking up time with my husband. Nothing was posed, everything was organic. When we got our photos back (which was VERY quick) all of our friends and family said they couldn't believe how amazing they were. We hear on a weekly basis that they belong in a magazine. Brides, you can not go wrong with Erin as your photographer! This is her art and her talent and I'm so grateful to have found her! We will treasure our photos forever!" "I can't even put into words how amazing our experience with Erin was. From day one, wedding photography was my first priority and was ecstatic to find Erin. She answered all of my calls and emails and even came all the way out to meet with my family and scout the location. She expertly handled my frantic texts about the forecast before the wedding, assuring me that everything would go swimmingly. And it did! "On the big day, I was so excited to finally meet her, I literally threw my diet coke in the air while rushing to hug her. The sky was overcast and the clouds were spitting just a bit, but Erin and her second shooter, Cory, handled it with grace. Erin put us at ease, encouraging us to move naturally. We felt completely comfortable frolicking through the field together, with no forced or awkward posing. Our bridal party had a blast posing for the photos, which were executed quickly and efficiently. No hangry, sweaty bridesmaids! Erin managed to capture all of the best parts of our ceremony and reception. From the moment our officiant accidentally asked me to take my husband as my lawfully wedded wife to the impromptu dance battles in the tent. We were just as blown away by the end result as the process itself. Erin's "sneak peek" rivals many photographers' final products in quality and depth. And when we did receive the final files, I scrolled through for hours, reliving each moment. All of our family and friends were floored by her talents and insist she belongs on every major wedding blog. I am so honored to hang her photos on the walls of out new home. She is truly a talent beyond her years. 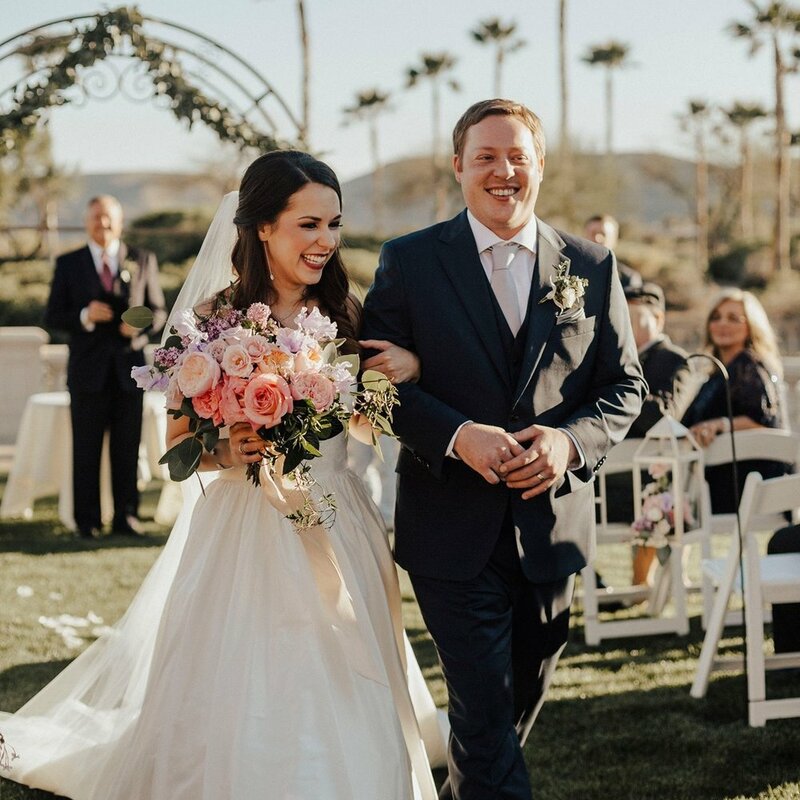 We will cherish these memories forever and I hope every bride gets to have an experience as amazing as ours." "THE BEST! I actually discovered Erin on accident. I live in Texas, and had a destination wedding in Las Vegas. When I was looking for a wedding photographer, I preferred for them to live near me, or in Vegas. I did tons of online research and looked at dozens and dozens of different photographers and finally I came across Erin’s page and fell in love. Then I found out she lived in Maryland, but by that time it was too late, I was already obsessed with her work! Erin flew to Texas for my engagements and bridals and then to Vegas for the wedding. My husband hates getting his picture taken but Erin made him feel very comfortable and look very natural. Not only is Erin extremely talented, she is very professional, personable, and ADORABLE! By the time the wedding was over she felt like my BFF! I want to have a second wedding just to have her there again. If you’re reading this, stop your online searches, NOW! Erin is your girl." "Erin was absolutely wonderful to work with from the moment I inquired about her services to the final delivery of our wedding photos! We loved working with her during our engagement session and she put us both at ease since neither of us are naturals in front of a camera. On our wedding day, she was prompt, efficient, and fit seamlessly into the day's events. Erin was quick to get us our digital copies and created the most beautiful wedding book for us. I'm not sure how she did it, but Erin documented our wedding in an even more beautiful light than I remembered it being in person!! I have zero regrets in choosing Erin as our wedding photographer and will be raving about her work for years and years to come!!!"